Our house was founded in 1991 per François Legras-Haas. The vineyard belongs to the family: 15 ha with Chouilly (Chardonnay grand cru), 10 ha with Vitry (Chardonnay), 6 ha with Les Riceys (pinot noir). Rémi and Olivier took in hand the family company and are helped now by Jérôme. The house continues a reasonable progression both in France and with export. The grand cru Chouilly offers a potential of guard while presenting when it is young, a fresh and light character, appreciated with aperitif. The Chardonnays 2002 are long, suaves and very aromatic with floral or fruity aspects which prevail. The potential degree with the vintage was of 10.5% vol., more matured these 10 last years. The wines are structured and powerful. Superb Champagne grand cru blanc de blancs Millésimé 2006, a very beautiful Champagne of beautiful yellow color scented with amber, with these typical green reflections, with the fresh hazel nut notes, of a nice smoothness, with this fullness suitable for the vintage, where in mouth the apple, the heather and the lily intermingle. The 2005, with the nuances of honey and apricot, very delicate, of unctuous mouth, with the intense robe, a firm wine, very out of fruits, associating roundness and structure, of delicate foam, creamy and persistent. Always taste the 2002, gold medal with world competition, a harmonious vintage, of a good roundness, with a complex, very aromatic bouquet with the nuances of white flowers and lemon grass, nice abundant, well proportioned foam. 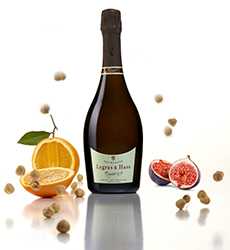 Brut Tradition, with the nuances of ripe small fruits, slightly with the honey taste. 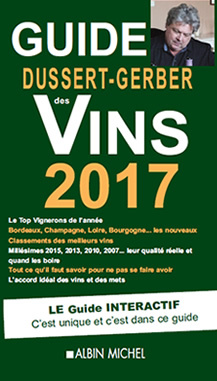 The Champagne cuvée Exigence (requirement in the choice of type of vines and their assembly, Chouilly grand cru of Chardonnay and Aÿ grand cru of pinot noir), with the floral and mineral nose, is of a large smoothness with finally a very pleasant acidulated side, a full and generous vintage where one finds in mouth of the nuances of ripe citrus fruits and brioche bread, of very elegant foam. In the line, the Champagne cuvée Extra-Brut, a blanc de blancs resulting from a compartmental selection of the best localities, with a proportioning close to Brut nature, with the perfume of fresh almond and citrus fruits (lemon-yellow, apple rennet), is very fresh, intense and round, with the subtle and persistent nose, a wine which associates fullness and distinction, a very beautiful Champagne, very harmonious, really very charmer.